I can't tell you the last time it was twenty plus days of no blogging. Darling Daughter and I left on March 4th for a mission trip to Taiwan. 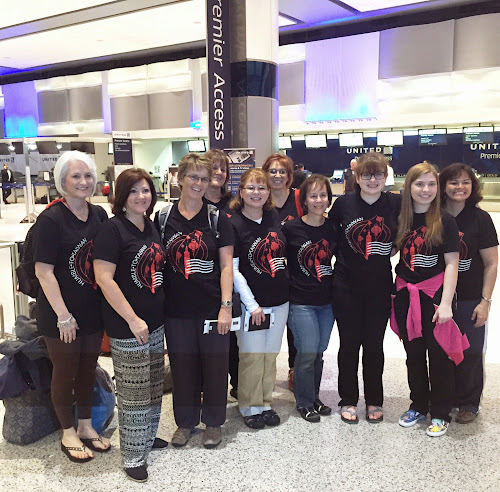 I thought I would blog while there, but it wasn't conducive to blogging and then when we returned on March 14 I was plagued with jetlag. There was a full week of symptoms the greatest of which was a lack of ability to concentrate. I began to notice improvement on Saturday so what I am really saying is I was an unproductive slug for a week!!!!!!!!! Now to get to all of the things that went undone while I was away and the things I didn't get done last week. 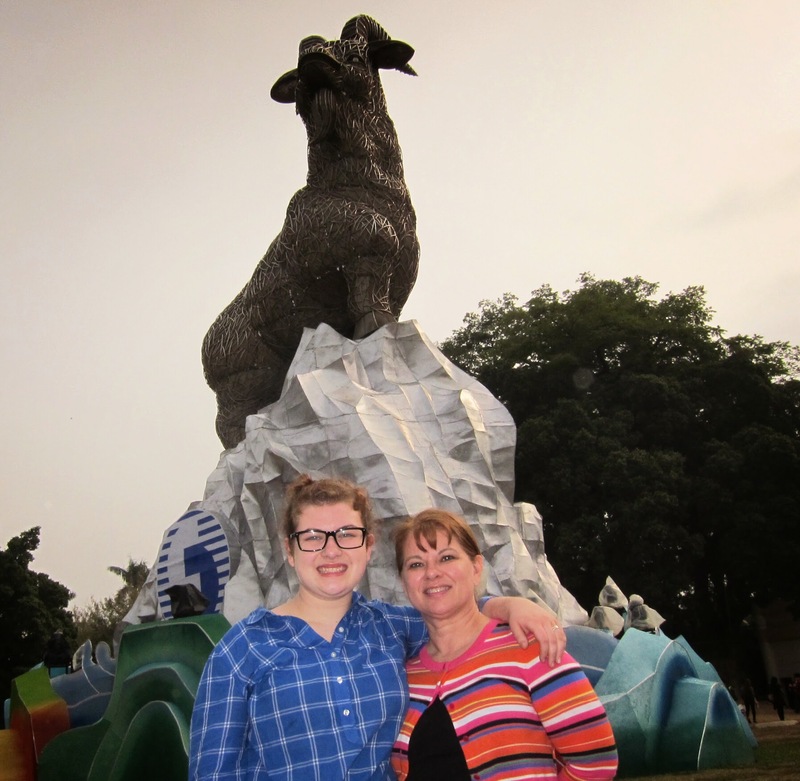 Taiwan was the first mission trip that Darling Daughter and I shared together. 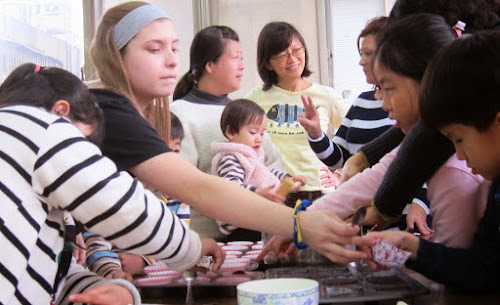 We went with eight other ladies from our church to Taichung, Taiwan and worked with our missionary friend, Rene. 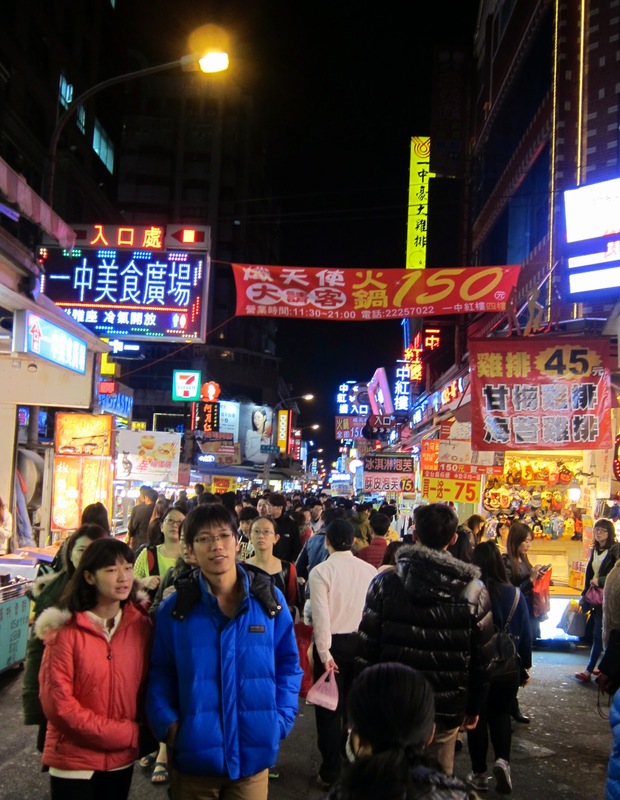 I found Taiwan to be very western, we could have been in any city in America. The people were very welcoming and kind, I enjoyed them very much. 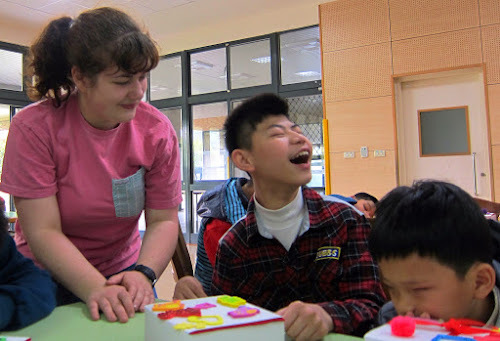 Some of the ministries we enjoyed participating in included a story time and craft at a blind school, a ladies day that included precious testimonies, a baking class as well as an English language class. 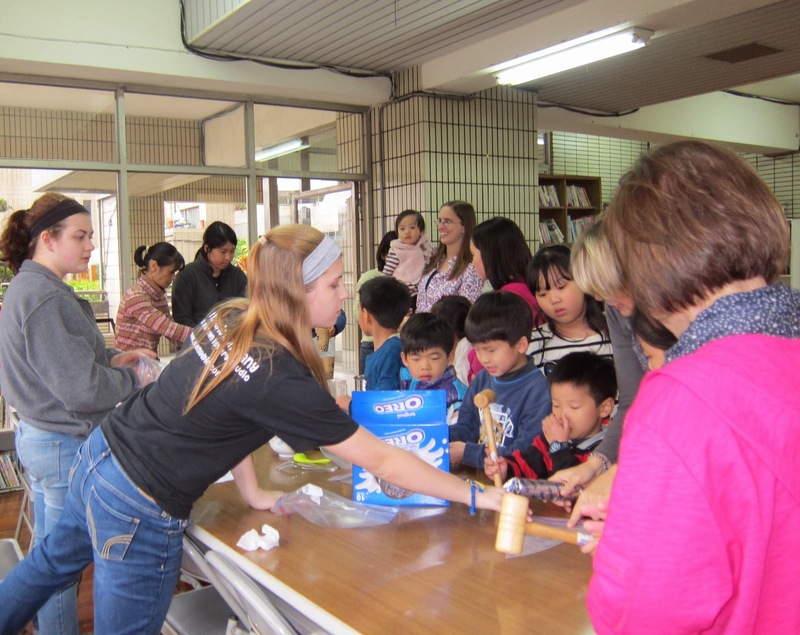 We also were able to enjoy several cultural experiences that included a lantern festival, a dumpling making class and a Taiwanese hair wash, oh my word, yes! I enjoyed watching Darling Daughter minister at the blind school. She worked with this young man and they ended up singing a duet of Old MacDonald. Precious to this mom. 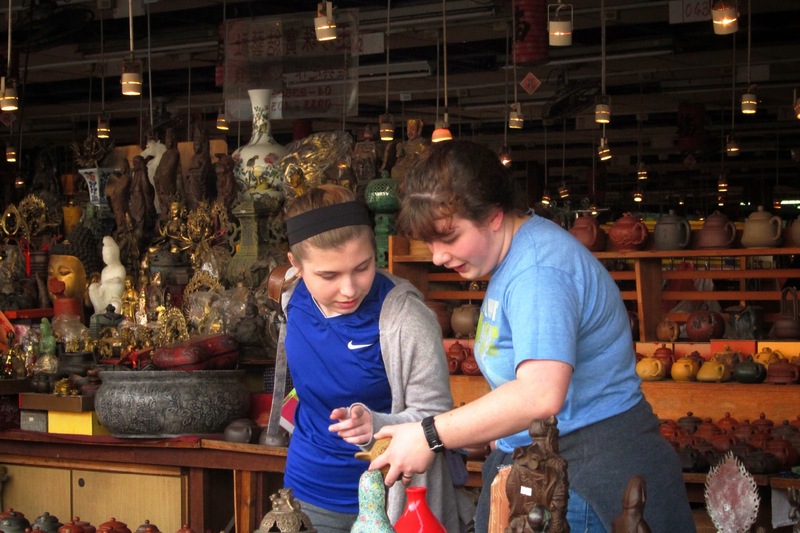 I shopped with the girls at the Jade Market. This was our first day and we hadn't slept other than on a plane in almost 48 hours, we were trying to kill time to get on their schedule, Taiwan is fourteen hours ahead. The picture was taken at the Lantern Festival and it is the year of the sheep. We enjoyed a day in the park inviting people to a ladies day we were hosting and then prayer walking through the park. I was told the night market is like this every night. I smelled stinky tofu and why on earth anyone would eat that is beyond me! 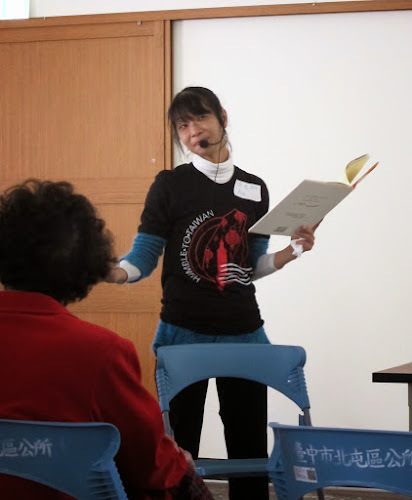 This delightful story teller is Ann, she is a believer and along with her precious family minister in Taiwan on a daily basis. Making dumplings, can I just say that people do not get enough money for making these homemade! This was a long process that required lots and lots of chopping! We made 500 dumplings! 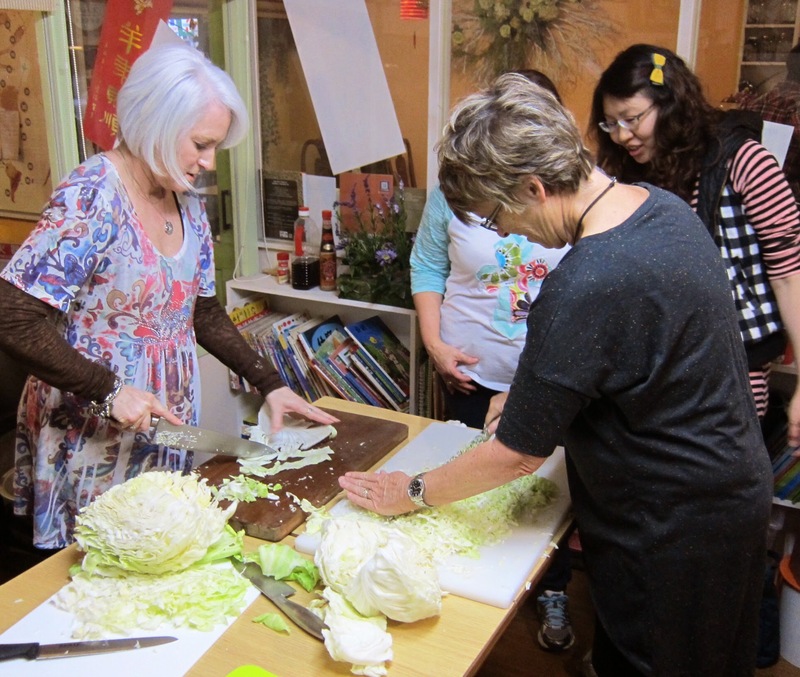 This was taken at the kids cooking and craft time. We enjoyed the story of Noah's ark and made some cute little sheep and they made a dessert to take home. 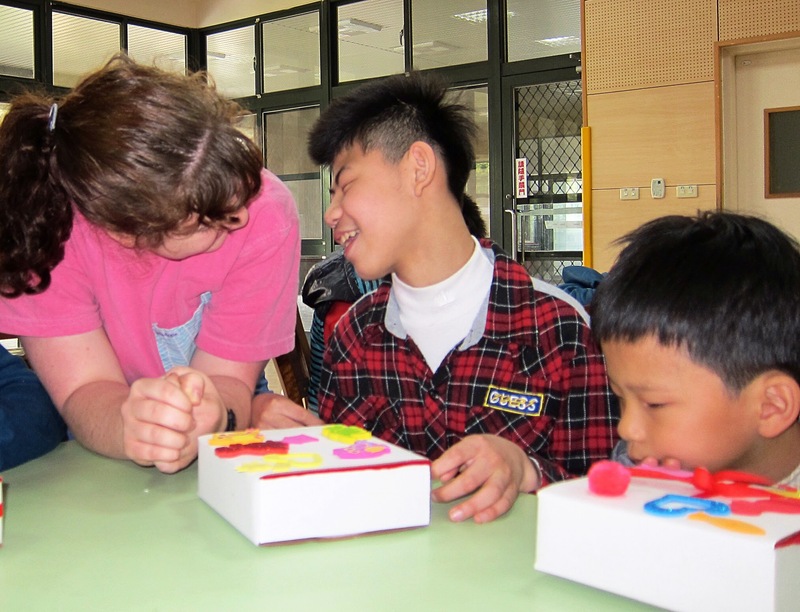 We really enjoyed our time with the Taiwanese people. I continue to pray for them as they hear about the love of Jesus each day though those that God has called.